Beloved indie megastars Arcade Fire joined U2, Lady Gaga and Tim McGraw as the A-list performers for the first week of The Tonight Show Starring Jimmy Fallon, performing their Reflektor single "Afterlife." 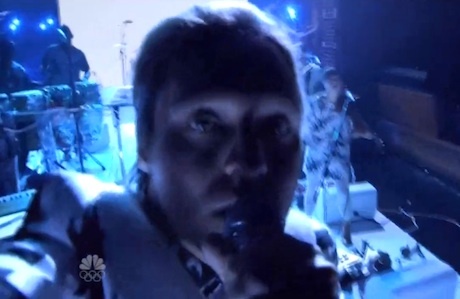 The first portion of the performance is technically a selfie, as Win Butler holds the camera in his hands and points it at himself as he belts out the song. Then, it cuts back to a normal televised performance as the band offer an impassioned delivery of the track complete with plenty of percussion and a bright disco ball. Watch the Arcade Fire perform on Fallon below.